Yep, let’s say it advanced WIP, proof of concept – definitely not finished thingie. As I have mentioned that one in previous blog post. Witek (freaking talented Flame artist btw) put that seed in my head… and during one weekend it emerged. I wanted to make that little cloud puffing from the cauldron (recent commercial I was taking part in was kinda to short timeframed to make it possible during production, so I have made it afterwards just for fun). I also wanted it to feel alive maybe even a bit magical (there’s a logic there since witch is operating the cauldron). 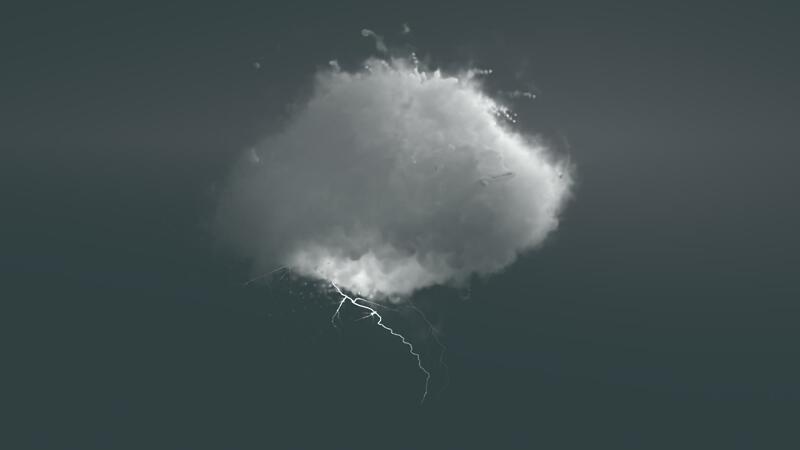 So I have decided to base the cloud on actual fluid simulation made in RealFlow. It wasn’t very high res (frankly: it’s very low res) simulation it was just the base for the FumeFX simulation done in 3DS Max. But I needed the vivid fluid behavior of let’s say water to have somewhat spontaneous reaction to witchcraft. Lights were animated by grouping them and applying noise to the group… that approach is artistically correct, it gives you fast and controllable result – BUT. 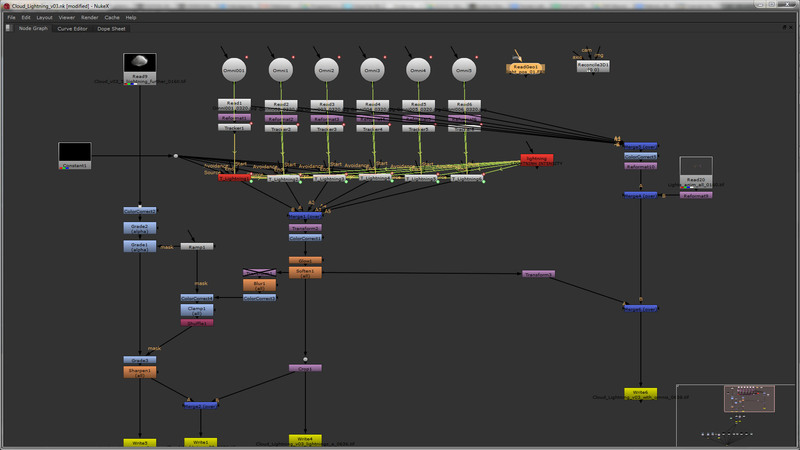 It’s useless in compositing later on. Animating that group of omni lights with that method doesn’t generate their actual x,y,z coordinates – ergo you will be forced to track those lights with 2D tracker from preview images when you want to use it’s position later on in compositing (here I have used it for the starting point of the lighting bolts). If you’d animate the x,y,z coordinates manually you’d have the values ready and waiting for you in the FBX file or in Allembic. Simple reconcile 3d node or bit of trigonometry if you prefer would automate everything for you (no tracking needed then). Never the less from the FBX file I got the intensity of the lights (it was also animated with noise, but on the intensity parameter level in the graph editor) and transferred it to the lightning bolts.